Alvondo is an Internet-based realtime communication network based on SIP, the Session Initiation Protocol. By providing an infrastructure with a high degree of security, we can connect your SIP island or run a SIP network for you, what we call a SIP VPN. We operate a lot of services inside the network and can provide all kinds of services, from basic connectivity over secure connections to advanced IVR services. In addition to SIP we can build XMPP and WebRTC services that works in cooperation with the rest of our realtime platform. Alvondo hosts SIP services for many companies - building innovative solutions for their applications. We mix many kinds of realtime communications, sometimes with connections to the PSTN, the global telephony network, sometimes not. Voice, video, chat and presence are ingredients in our solutions. All based on open standards and in most cases, Open Source platforms. Alvondo delivers SIP trunks tailor-made for your needs. We can failover to IVRs, prompts, set limits and manage security between offices. 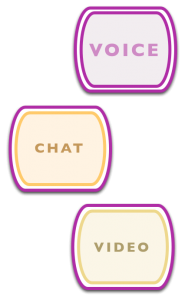 Audio, video, chat and messages. Contact us today for a discussion! Alvondo's Door Phone service operates in Sweden and Norway. Through our service, door phones call the owner of an apartment or an office to confirm a visit and open the front door by pressing a digit on the phone. The platform is built for reseller networks and estate owners.